Are you looking for a new exhibition stand? 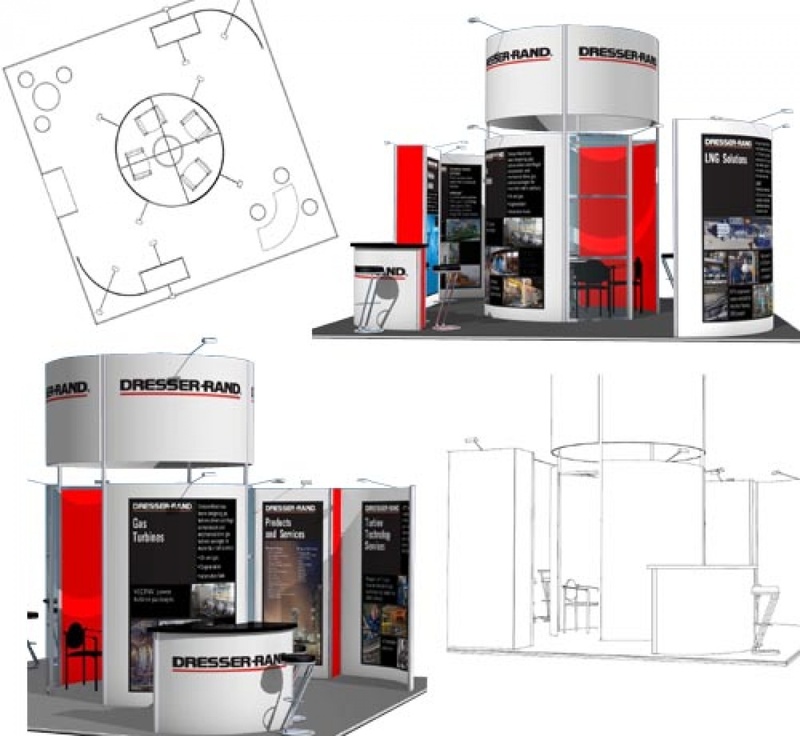 Why not get in touch about our free exhibition stand design service? To get the design process started simply complete our design brief form below and we will contact you. If you would prefer to speak us about your prospective stand then please do not hesitate to call on 01733 570222 or view our portfolio to get some exhibition stand design ideas. Our aspiration is to design and create something that is unique to your brand, conveys your messages in a innovative way and delivers within your budget. Ultimately we strive to exceed your expectations. We take a consultative approach to designing your exhibition stand working with you to understand your core objectives, whether these are; launching a new product, customer retention, brand promotion, market research, education or a combination of all of these. We will translate your ideas into a design that is as much ‘jaw-dropping amazing’ as it is versatile and adaptable to other shows and spaces. We will advice and guide you on the endless possibilities of design features such as finished textures, innovative lighting, sounds, colours, graphics and architectural shapes that translate your company ethos through your stand design. We can advise on a broad choice of digital technology, seamlessly incorporating it whilst ensuring not to compromise on functionality or design. Our design and production teams are adept at incorporating built-in screens, tablets, augmented reality, live feeds, games, live surveys and other clever ways to ‘wow’ and engage your audience. As well as designing stands that can be easily adapted for different size exhibition spaces, our portfolio of stands includes designs that have been created for an exhibition with the adaptability in mind to be later installed into a permanent office space. Ensuring that you get the return on your investment is as much of a priority for us as it is for you as this is one of the main reasons our customers tell us they come back year after year. Read more about our exhibition stand designers here.